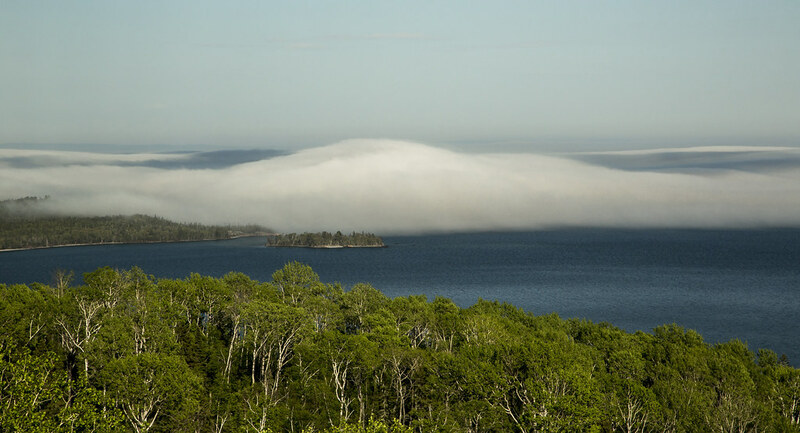 A fog bank rolls across the vastness of Lake Superior. Expect this phenomenon to occur more frequently this summer as the lake's waters are cooler than normal due to last winter's extreme cold. At least this fairly innocent weather occurrence makes for a very cool photo.